The concept of the circulation of the blood is far from obvious, even to modern students. 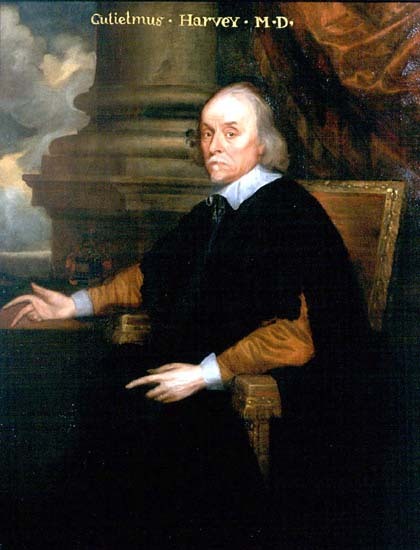 William Harvey's discovery was a landmark in the history of biology and might prospectively serve as a guide for developing the same concept today. But Harvey's perspective --and the context in which he argued-- are so unfamiliar today that retracing his thought process is more frustrating than fruitful. However, the evidence that Harvey developed can still be useful. Here, it is supplemented with an observation that Harvey probably never made: the existence of three separate hearts in squid. Students are then guided to (re)construct the concept of circulation on their own by connecting multiple clues, providing for many individual routes to personal discovery. Originally published in The Science Teacher 60(1993, #7): 26-33.